The Active Harmonic filters are also referred to as the PF3 – Intelligent Power Quality Filter. These filters have a growing demand in the market for various applications. The popularity of these filters is due to its ability to lessen the harmonic distortions in the network loads. They can be installed separately or combined with AHF units. The type of filter used in applications is dependant on the harmonics level and issues with operations. These harmonic filters, when connected in parallel to the mains supply, offers many benefits. Longer service life and reduced wear and tear due to its capacity to minimise temperature variations. Harmonic filter suppliers provide servicing and maintenance and also fulfil all the obligations of a contract with suppliers of energy regarding consumption. The power supply which is free of interference. The AHF is parallelly connected to the loads and is designed to work with non-linear loads which generate harmonic currents. They can be used in the primary feeder or with separate loads. The AHF has a quick response to changes in load and has an outstanding accuracy of output. The harmonic elimination happens by extracting the current harmonic signal and sensing the load current. The reference is generated by comparing it with the current signal of a load. There is no manual intervention, and everything is dynamic. Useful in places like the hospitals, Airports, shopping malls, etc. where the harmonic loads are generated. Used at the output of UPS to reduce the effect of harmonic signals and increase capacity. Can acts as a Hybrid filter combining with Acticcomp and Active filter and thus provided a reduction in cost. Helps improve the power factor of UPS, rectifiers, etc. in all types of installations. Apart from the above benefits, there are many advantages for the customers too. Harmonic filter suppliers say that the users of these filter can obtain better reliability of the electric system and there is less loss of power. The generator and transformers also get better distribution of electricity which increases the efficiency and uptime. These filters can be accessed remotely, and the usage is also straightforward. Harmonics filter manufacturer in Chennai calls it a one-stop solution for all harmonics and correction of power factor needs. An active harmonic filter is used in filtering and compensation of power installations. 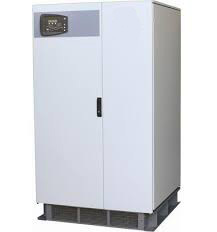 It is also installed in industrial electronics applications such as UPS systems, data centres and semiconductor production equipment. Photovoltaic systems and wind turbines also use these filters. You can also find harmonic filter installations in many office buildings and shopping centres. An active harmonic filter is beneficial due to the various advantages that it offers. Due to its high-quality performance and interference-free power, its demand has grown tremendously over the past few years. That has increased the use of it in industries and other applications. Moreover, hybrid power conditioning provides a cost-effective solution for mitigating harmonic signals and compensate power factor.